I was truly honoured to be included, as the only Belgian blogger, in this year’s Amara Interior Blog Awards top 60 finalists on the shortlist, from all over the world 800 nominees. All shortlisted bloggers in each of the ten categories were invited to the Amara Awards Ceremony, that took place last Wednesday at The Design Museum in London that was the perfect venue for this prestigious event. 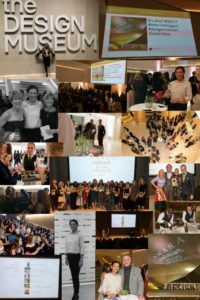 Bloggers, judges, sponsors and the Amara Team gathered together to celebrate the best in the interior blogging industry. Although I did not receive first place in my category of Best Design Inspiration Blog, I truly enjoyed the evening and I was so pleased I got the chance to join all other shortlisted bloggers. I had a lot of fun and met several colleague bloggers from all over the world. A sincerely thank you to all of you my dear friends! Thank you so much for your vote and for your everlasting support! Because of you I had the chance to take part at this fabulous event! And of course a big thank you to the Amara Team for their dedication and hard work, bringing us again such an amazing and unforgettable evening! Congratulations to Alice, author of the UK blog Alice in Scandiland, who won the award in our category of Best Design Inspiration Blog. She absolutely deserved this award! And congrats to all 2017 winning blogs! Proud and happy Alice surrounded by the hosts of the evening, stylist Sophie Robinson and UK designer Daniel Hopwood together with the sponsor Georg Jensen representative. 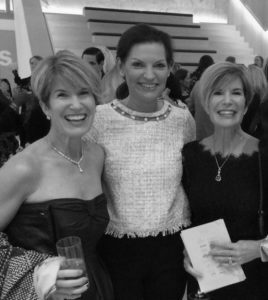 I am so very happy to have met the lovely and adorable twin sisters Jodie & Julie, authors of the absolutely gorgeous blog The Design Twins , where they both share their passion for interior design. If you don’t know this blog yet, please pop over, you will not be disappointed! If you would love to go on an antiques buying tour, you absolutely have to check the blog The Antiques Diva & Co. Toma Clark Haines, author of the blog and owner of the world’s largest antiques buying and touring services company, is offering custom, private one-on-one buying tours in Europe, Asia and America. I was very pleased to finally met Toma, who is a gorgeous, no-nonsense business woman. You would love her! To discover all 2017 winning blogs, please click here . 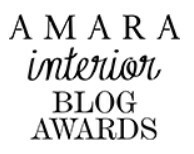 To know all about the Amara Interior Blog Awards, please visit the website http://www.interiorblogawards.com . Thank you so very much dear Susan!